Many do not need an introduction to Dan’s Humpy. 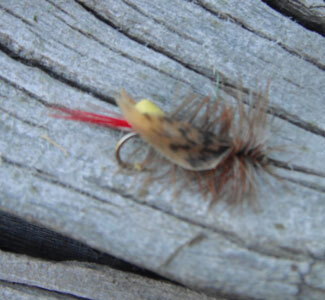 This fly was made to float – add a little silicone paste and you have a winner. 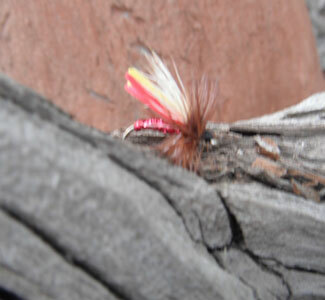 It is especially effective on high mountain streams, especially if you are going for the Brookies. Sold by the half dozen to get you started. 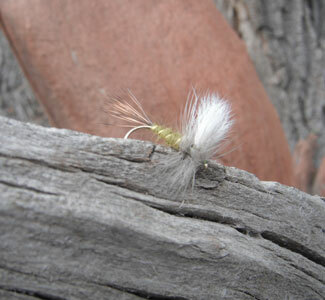 Dan’s Humpy has been the dry fly of choice for many old timers for longer than we wish to mention. It has especially been favored for high mountain streams such as Big Blue Creek and Upper Cebolla. 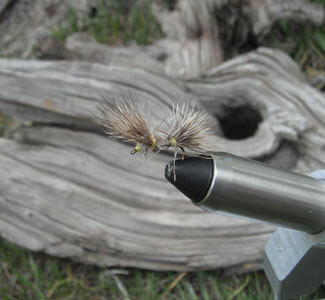 Also called the Hay Stack this unruly looking fly is great to use where the Brookies are plentiful and the water is chilly.